MODEL 2300: MAX CAPICTY 500 LBS. ; LOWERED HGT. 4-3/4" RAISED HGT. 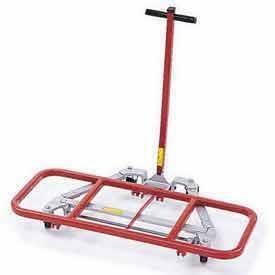 10"
LENGTH 32" , WIDTH 22" , 3" CASTERS WT. 40 LB. * Please call us for any questions on our dolly desk rentals in Cincinnati Ohio.